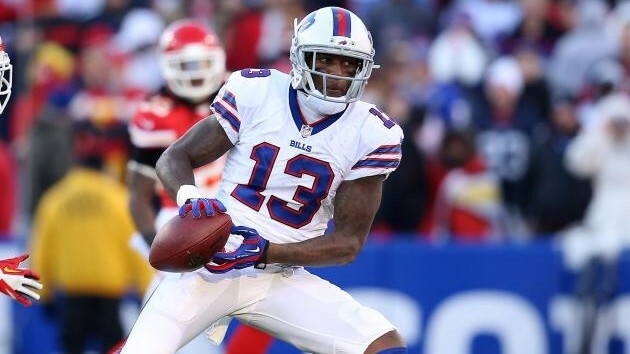 Wide receiver Stevie Johnson, while playing for the Buffalo Bills. Photo courtesy of Bleacher Report. 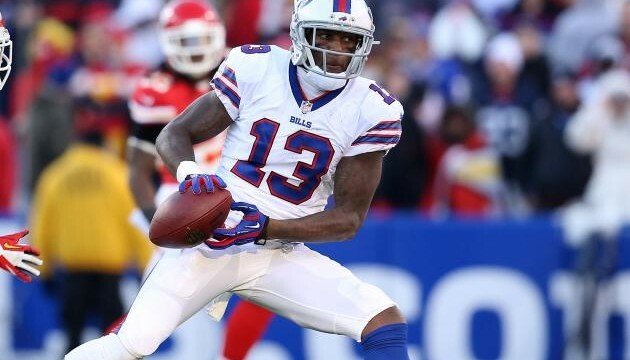 The San Diego Chargers added their second wide receiver of the off-season by agreeing to a three-year contract with Stevie Johnson, the team announced Tuesday. Fox Sports has reported that the base value of Johnson’s contract is $10.5 million with performance bonuses. Johnson was released by the San Francisco 49ers last week and had entertained interest from the New England Patriots and New York Jets, along with the Chargers, since his release. With the 49ers last season he caught 35 passes for 435 yards and three touchdowns. Before that, Johnson spent six seasons with the Buffalo Bills in which he caught 28 touchdowns and had three straight 1,000-yard seasons (2010-12). He figures to fill the role of wide receiver Eddie Royal who departed to the Chicago Bears in free agency last week. Johnson joins wide receiver Jacoby Jones as the two newest members of the team’s receiving corps.